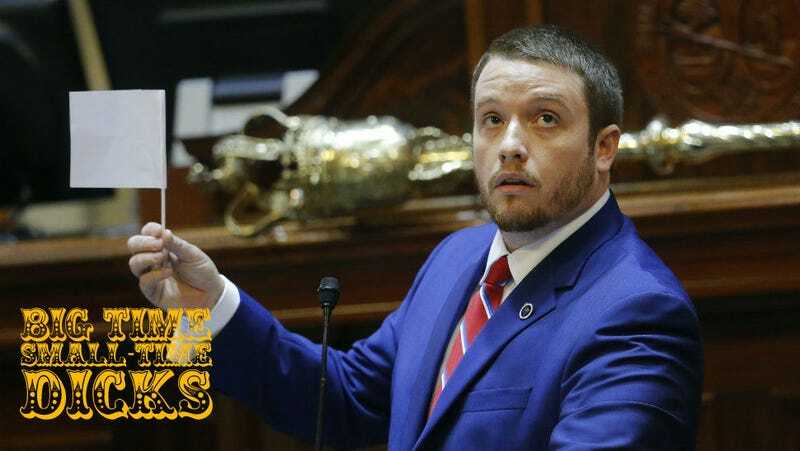 South Carolina State Representative Christopher A. Corley is still smarting over his legislature’s decision to remove the Confederate flag that flew on state capitol grounds. He expressed his feelings the way your passive-aggressive mother-in-law might, with a Christmas card featuring his departed loved one. May your Christmas be filled with memories of a happier time, when South Carolina’s leaders possessed morals, convictions, and the principles to stand for what is right. How fortunate each and every one of us are that our Lord and Saviour Jesus Christ chose to be born into this miserable world. His sacrifice was difficult, but the best decisions are not always the easiest ones. May you have a blessed and happy Christmas, and may you take this joyous time as an opportunity to ask forgiveness of all your sins, such as betrayal. The Jews have long said that we have the market cornered on guilt trips. After today, though, I think we may just have to hang up our tiny hats and admit when we’ve been bested. Corley on the South Carolina House floor in July 2015, photo via AP Images. Big Time Small-Time Dicks logo by staff male Bobby Finger.